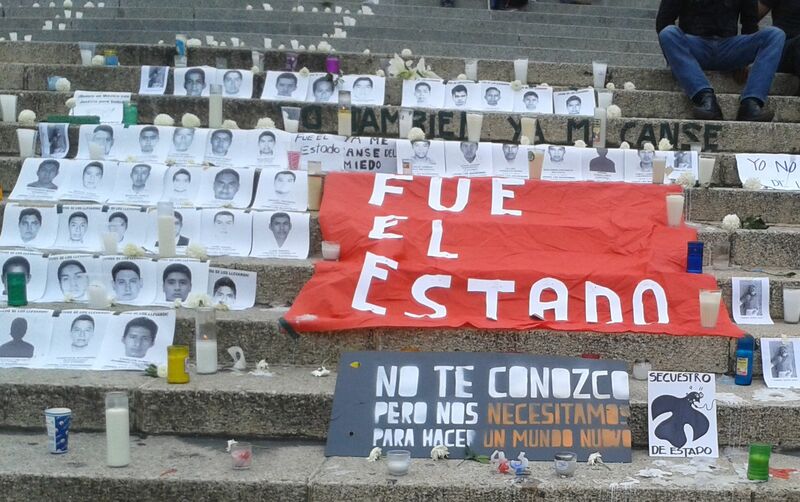 Serious questions remain over the level of state involvement in the disappearance of the students. The news that Mexico had been dreading finally came on Saturday: a team of Argentine forensic scientists had identified the remains of 19-year-old Alexander Mora, one of 43 students abducted by police officers in the town of Iguala in late September. The clearest indication to date that the students were massacred, the identification was made from a fragment of charred bone that the Mexican government claims to have recovered from a river in the neighboring municipality of Cocula. Citing the testimony of three suspects, the government says members of the Guerreros Unidos drug gang killed the students at a nearby landfill site, then burned their bodies and threw the ashes in the river. However, many students’ families do not believe the official account of events. They suspect that the government planted Mora’s remains by the river in order to corroborate the detainees’ testimony. Click here to read this feature in full at Latin Correspondent.